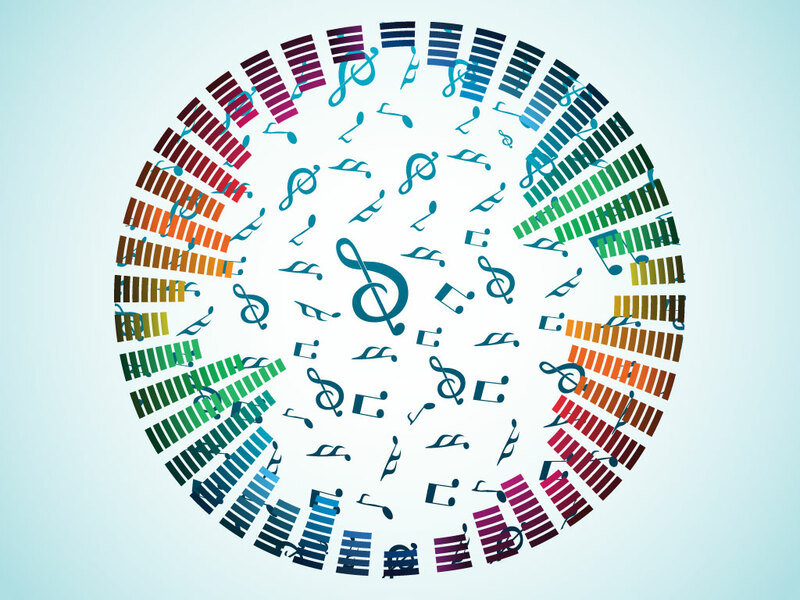 This music based design has notes and symbols from sheet music tumbling in a circle of equalizer bars. A creative background for your music and audio industry designs. Download this creative background as an AI and PDF for your needs. Tags: Circle, Equalizer, Music, Notation, Notes, Spiral, Symbols.